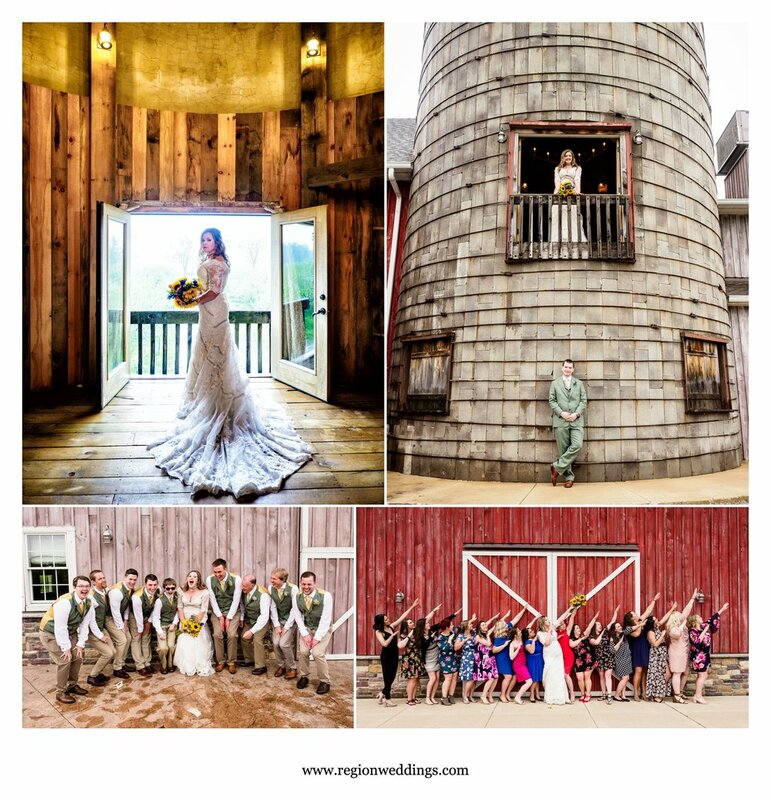 Bride and groom beneath the grain silo at Peck Farm Park. 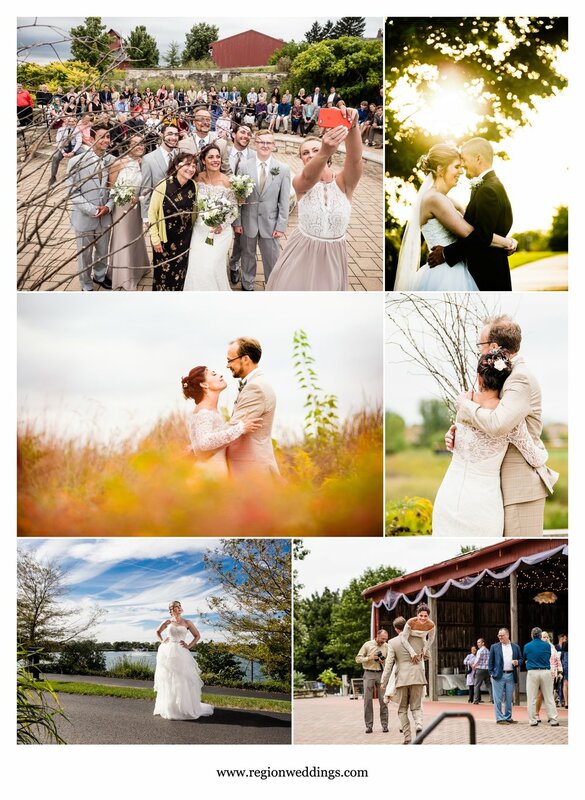 Tracey and Chris had a true “family style” barn wedding at Peck Farm Park in Geneva, Illinois. 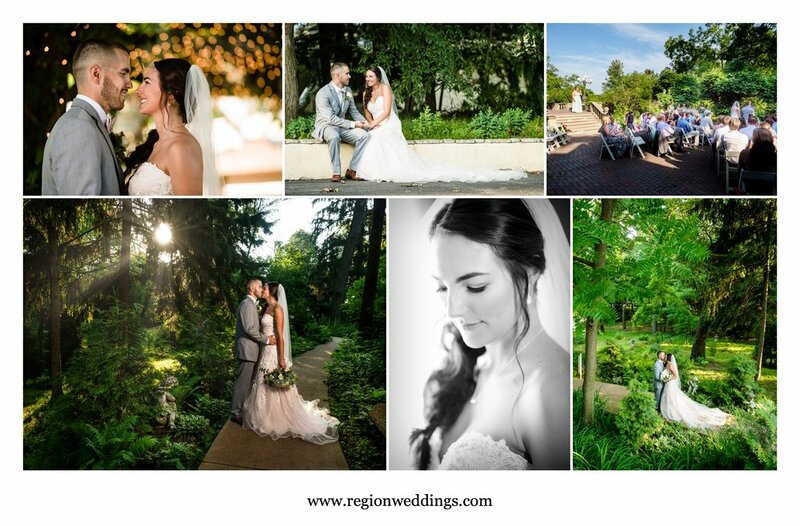 Close family and friends gathered in a half circle for the outdoor ceremony and then it was time for an all day, open air reception. Let’s start at the beginning of the day with bridal prep at The Herrington Inn and Spa. 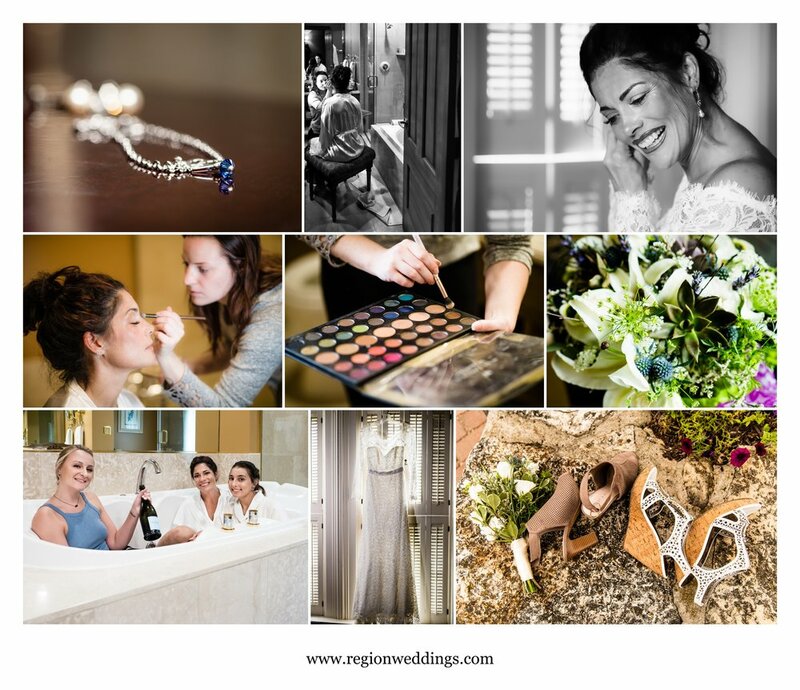 Bridal prep at The Herrington Inn and Spa. Wedding day fun for the bride and her crew. While I spent the morning in and out of the bathtub with Tracey’s bride tribe, photographer Grant was with Chris and the guys as they learned the art of tying ties. Groomsmen prep in Geneva, Illinois. Tracey got into her dress at the Peck Farm Park farmhouse and we utilized the classic front porch of the building for some portraits of the bride. A vintage tone for the bride on the front porch of Peck Farm Park farmhouse. 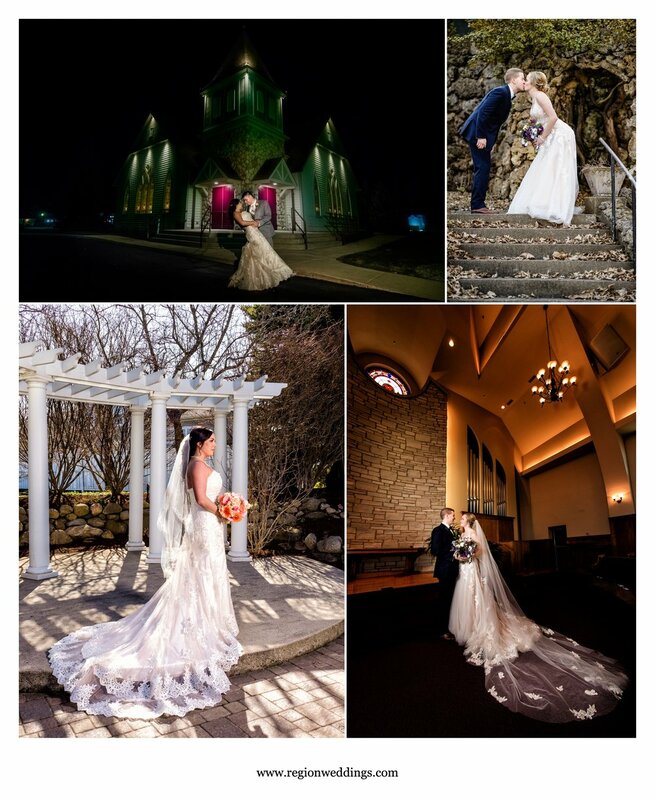 The beautiful bride on her wedding day in Geneva, Illinois. 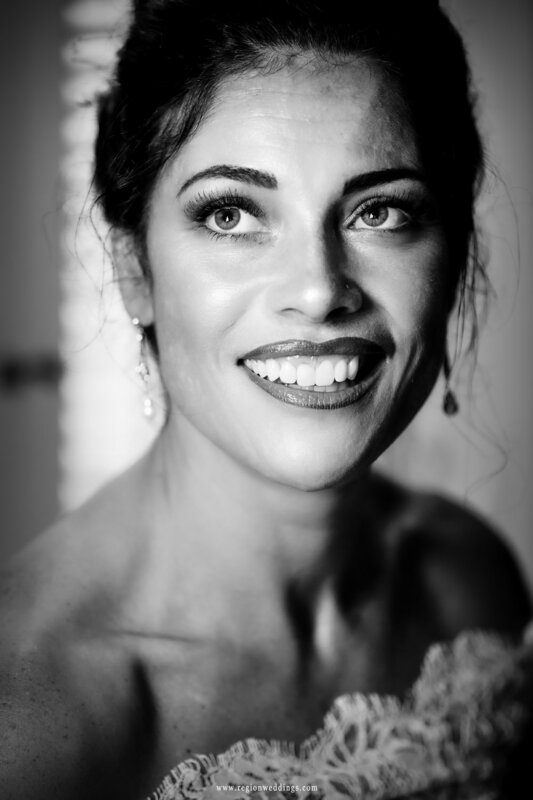 Black and white portrait of the bride inside the farmhouse. The wedding party was also a family affair with Tracey and Chris’ children taking on bridesmaid and groomsmen duties. The bridesmaids take a stroll at Peck Farm Park. The groomsmen all dressed and ready to go. 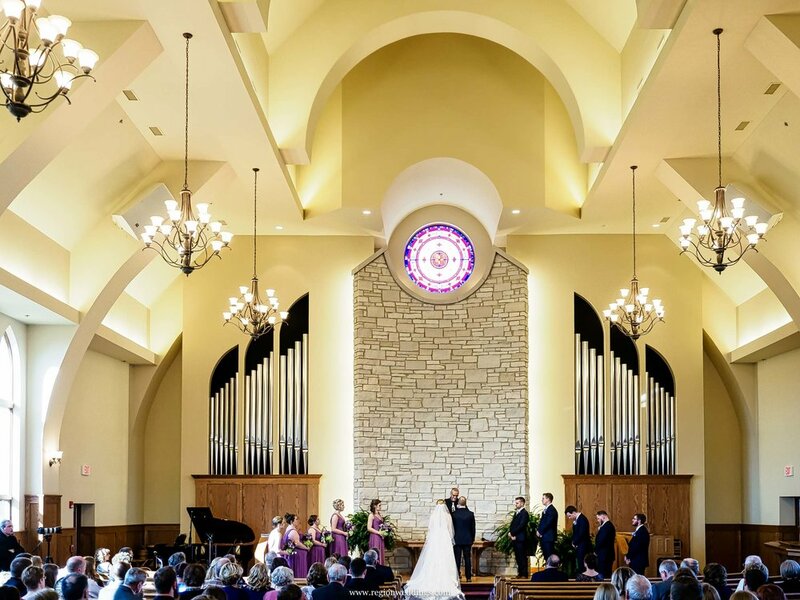 The ceremony area is just beneath the grain silo with a half circle of seating. The view of farmland was especially picturesque on Tracey and Chris’ perfectly overcast day. Some emotional moments occurred as the couple read their vows and the nuptials were capped off with a “ceremony selfie” at the very end. Outdoor wedding ceremony at Peck Farm Park. 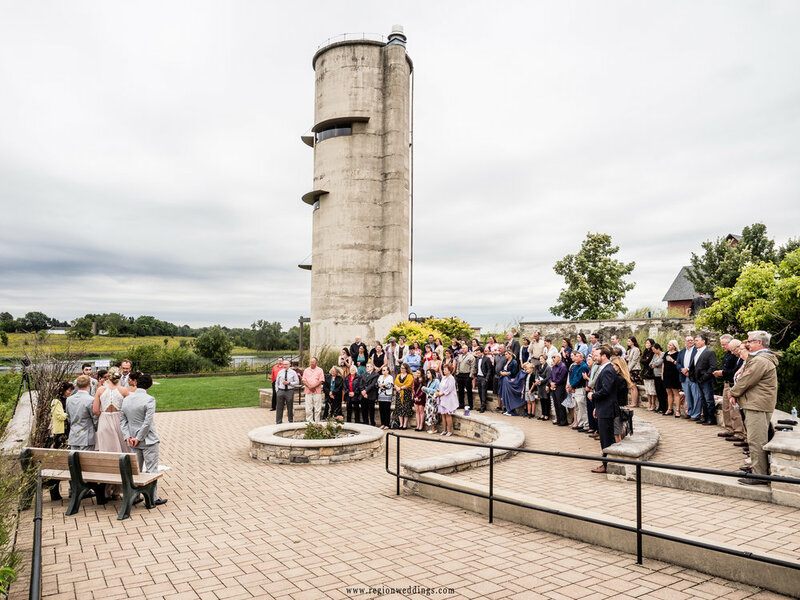 Wedding ceremony beneath the grain silo at Peck Farm Park. Exchanging wedding vows at Peck Farm Park in Geneva, IL. The post wedding ceremony selfie. One of the attractions at Peck Farm Park is the famous butterfly house. 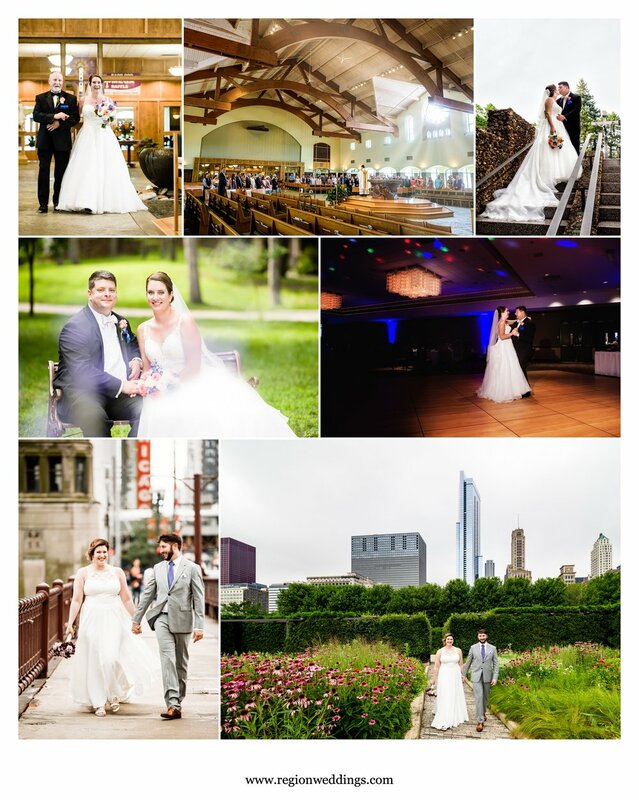 We did some bride and groom portraits along with a flirtatious butterfly and then it was outside with the Illinois heartland as our backdrop. Bride and groom photos inside the butterfly house at Peck Farm Park. 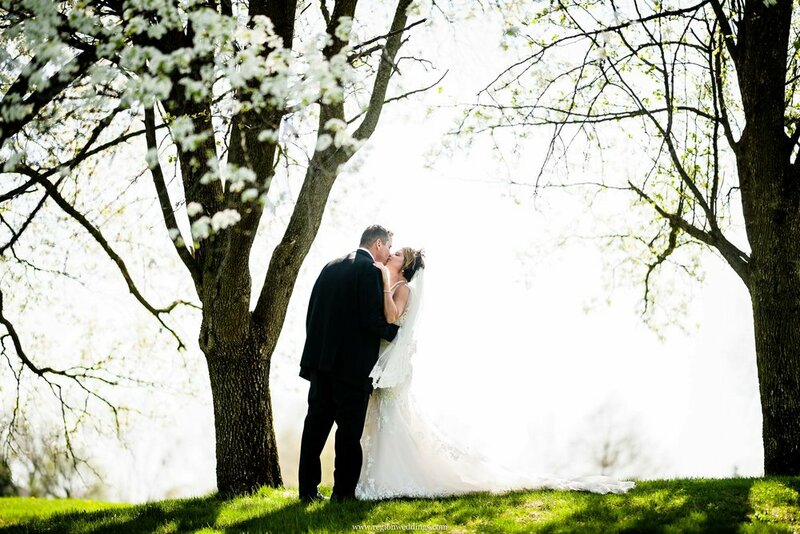 Bride and groom embrace in the Illinois fields. 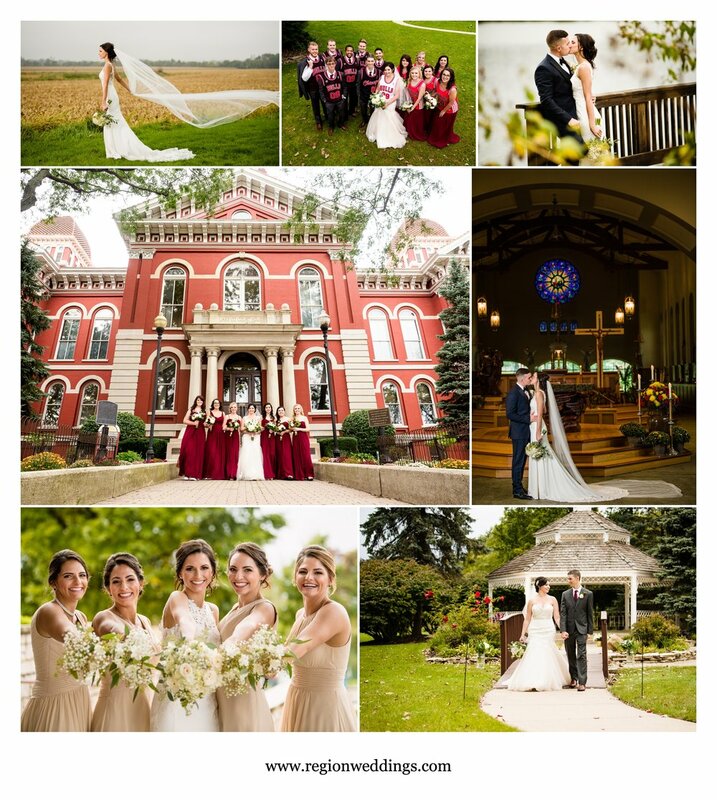 Farmland wedding photos in Geneva, Illinois. For the reception (which essentially started the minute the ceremony was over) there was an enclosed barn that housed desserts and another open air barn where the bar and dancing was. Roaming servers came around and served food to guests throughout both areas. The party favors of inscribed blankets were perfect for this slightly chilly night. Wedding reception decor at Peck Farm Park. Wedding reception fun at Peck Farm Park in Geneva, Illinois. 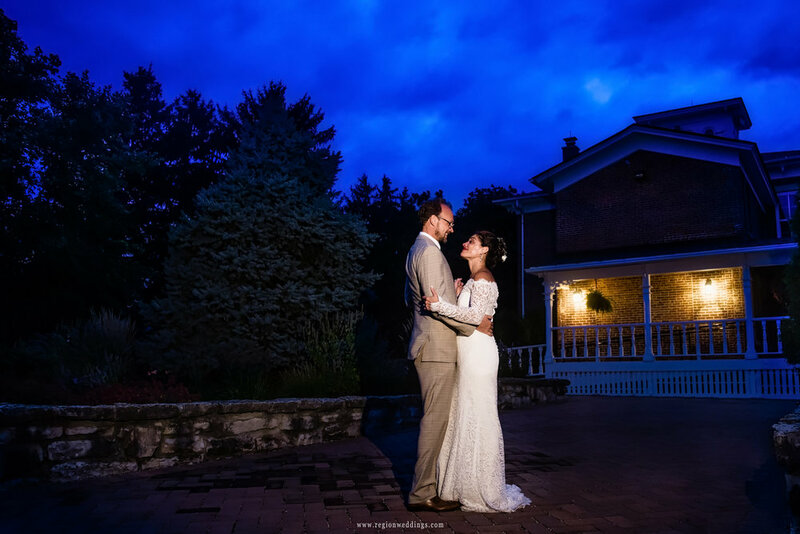 I took the bride and groom out for a night portrait as the sky turned deep blue just after sunset. 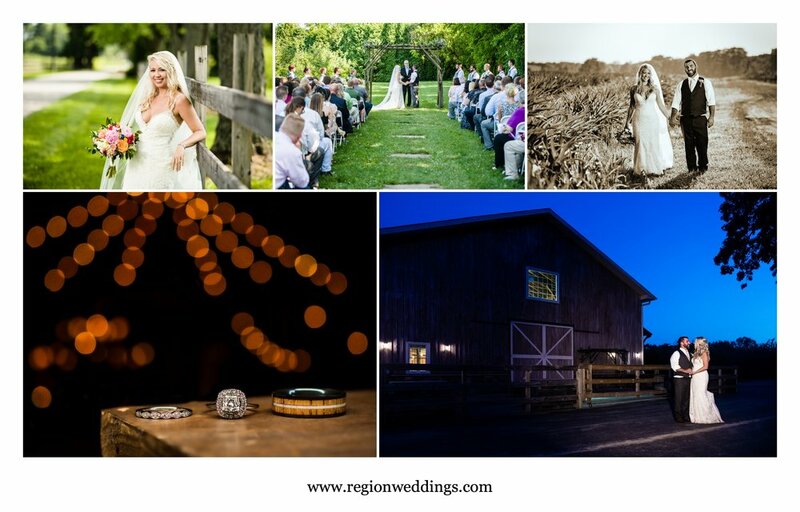 It was a beautiful day and a lovely barn wedding with Tracey and Chris in Geneva, Illinois at Peck Farm Park. 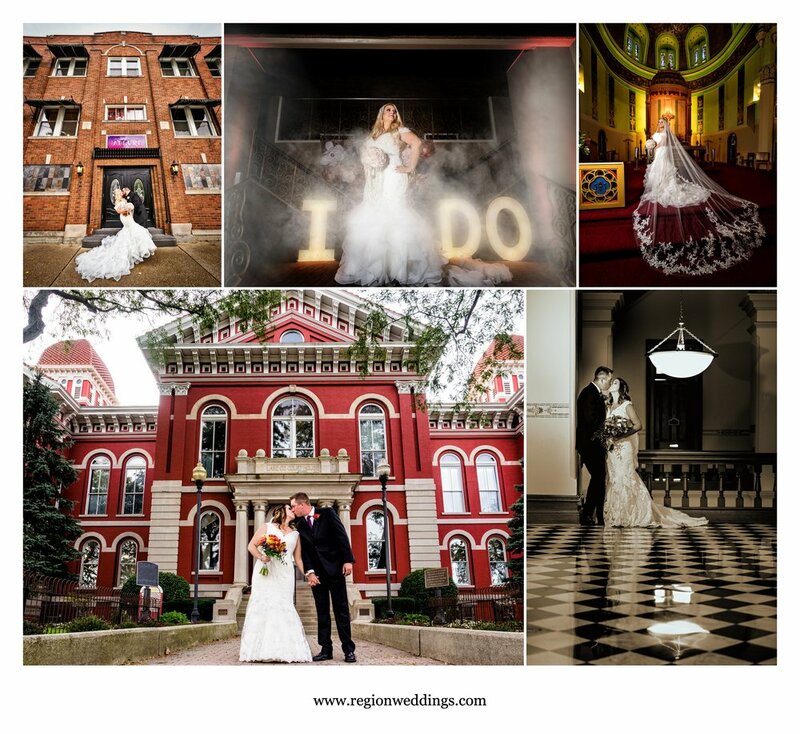 To inquire about wedding photography for your big day, be sure to fill out the Contact form here. 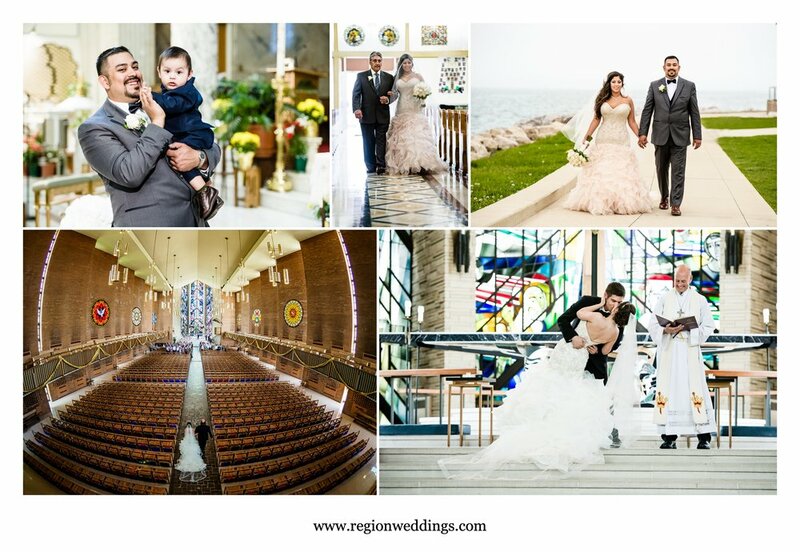 Stay tuned to the social media channels below for more images from this wedding and others. Night Portrait At Peck Farm Park.